This is a place to explore, with lots of creative juice, tips and storystarters. There is a Daily Writing Challenge for you and a dare to pay yourself first and put some time in the Creative Bank. Check back regularly as this area of the site expands. 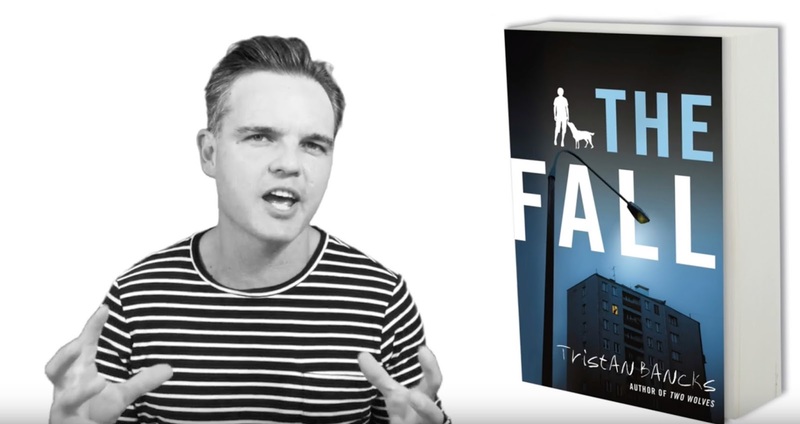 Click below to watch Finding Story Inspiration, a writing tip inspired by my new thriller novel for middle-graders The Fall. 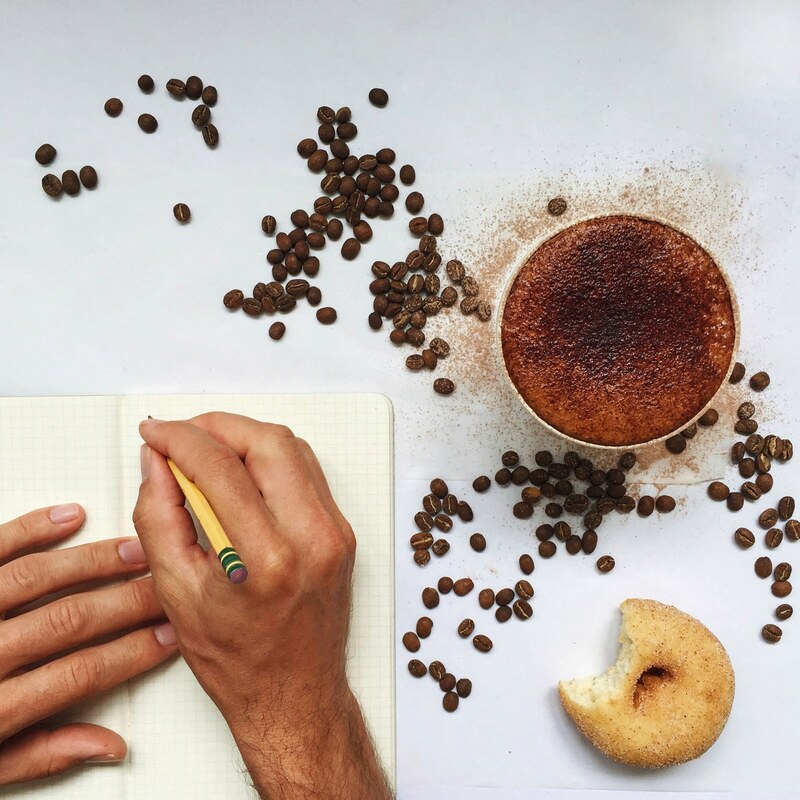 A perfect way to get inspired for the day, add to your writer’s toolkit and open up discussion about key areas of creating an amazing story. If you have an idea for a future video on creative writing, drop me an email or leave a comment on this post. Story Inspiration. How can books and movies inspire and influence your own story, novel or movie script? 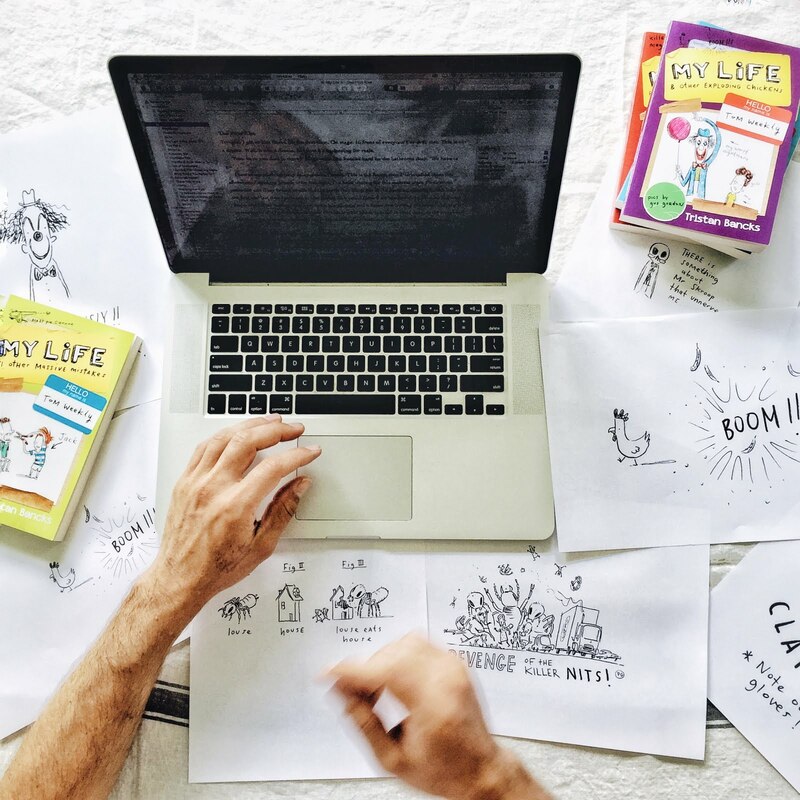 Our Mission was simply to write – to pour the contents of our minds onto the page. 1. Don’t Think. Just Write. 2. Write for 5-10 minutes, flat out.3. Once you begin, your pen is not allowed to stop moving across the page until the time is up. My Life as a Chocolate Bar. Most of my stories were about lollies in fourth grade. Every story didn’t have to be amazing (as you can see above). We were allowed to make mistakes. It wasn’t to teach perfect spelling or neat handwriting. We weren’t being marked. It was just about creativity. This is where I learned to write. This is how I discovered my Voice as a writer. My notebooks have a hard life. I still do ‘Anything Goes’ every morning at 6.00am. I write three pages, flat out. The biggest secret to being a writer is simply to write. I challenge you, whether you are a kid, a teenager or an adult, to spend 5 or 10 minutes each day simply writing. Fill up an exercise book. Fill up ten. Put some time in the creative bank every day and remember, like Mrs. Bannister said – Anything Goes. 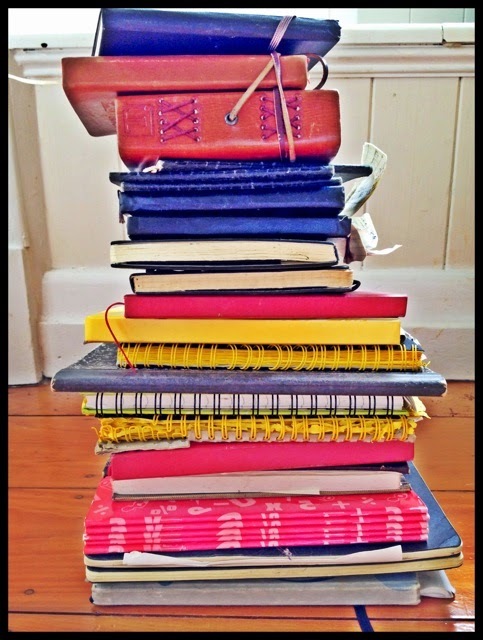 Some of my notebooks from writing three pages a day over many years. Good luck! Leave a comment below and let me know how you’re getting on. Lots more Amazing Writers Sharing their space here! 1. Write a lot. Read a lot. Live a lot. 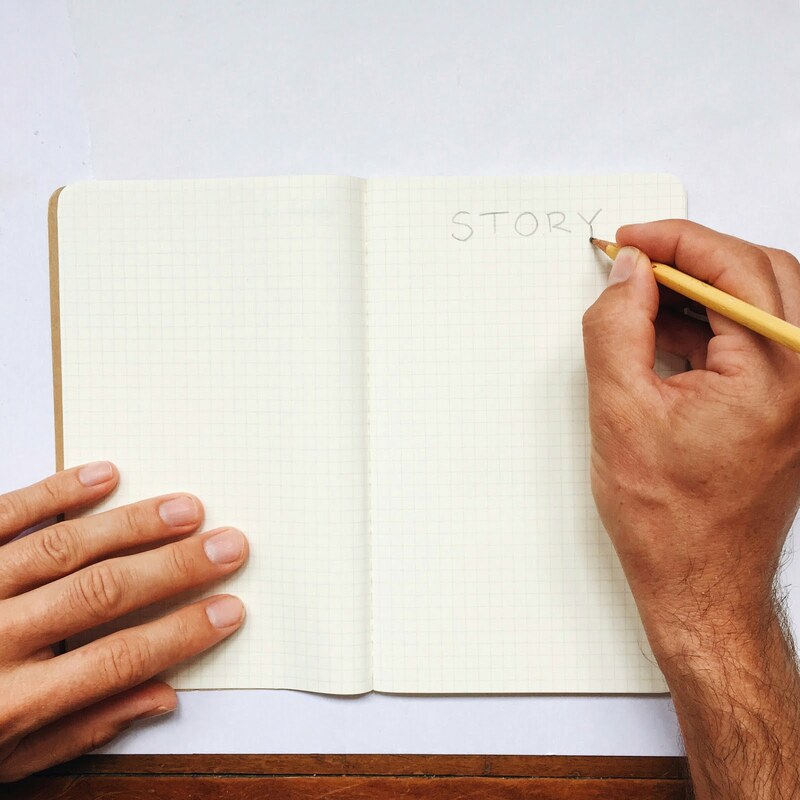 Everything you write, read and experience will help you become a better storyteller. 2. Develop a writing practice. That means writing every day. Even five minutes or three pages a day will make you a better writer. 3. Stay inspired. Stay loose. Feed on the world and let it flow into your writing. Don’t make your writing perfect at first. Just get it down. 4. Writing is Rewriting. Be prepared to rewrite and rewrite and rewrite and rewrite. Tristan you write some awesome books, thanks for coming to Delacombe Primary School, i tried writing a story for 5 minutes flat out it was interesting!! The kids in my class are writing flat out about any picture they found in the newspaper which caught their eye. It's the quietest they have been all year and they are loving it. Try it teachers!! It's great. Hey Dylan. Thanks so much for saying and that is so good that you're diving into the freewriting. The most unexpected things happen when you just begin. And, Liz, that's a really cool activity, finding a newspaper pic. It allows the individual to naturally flow towards an idea or image. Glad it went well. I liked the stories and stuff that you showed us today. It was a good morning and I'm glad you made it better. That's so great mate. Glad you liked the session. I hope you get a chance to read one of the books. Let me know what you think. Hi Tristan my name is Rosie. You recently visited my school Charlstown East public school. you came on the 24th of august!I am really inspired by you for I take acting lessons and love writing stories! 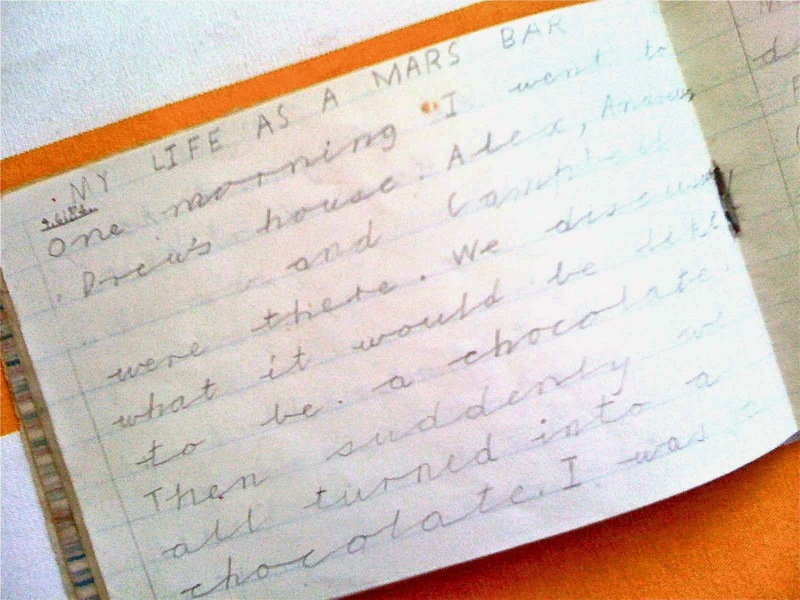 I am writing a story right now and it's called my life as a chocolate bar! Her is the first part: It was a cold windy morning I had just got out of bed. I'm the first one up,(as always)I quietly sneek into the kitchen, I heard a sound! "What could it be?" I asked myself. It sounded like something dripping to the ground. I turn around there were footsteps. I look down to what seems like a long hallway, my toes getting colder every second! But then it hit me I was just dreaming. So strait away I pinched myself. Then suddenly there I was sitting up in my bed. I could hear the sounds of my little sister screaming> ( WHAAAAAAAA WHAAAAAAAA) I hop out of bed strangly my feet were still cold! Did I mention my name was Stacy Fregemball! Well that's all I've written so far! Hope you like it! hi my name is robert and you came to redeemer lutheran college on the 31st of august you were great!!!! Hi Tristan I've learnt a lot from your tips and creativity and you really do write awesome books I read Galactic adventures and it was really cool and interesting! Thanks for putting up the start of your story. It's super-cool. I want to know more about Stacy Fregemball and what the dripping sound was and what happens next. Remember to try to get to the end of the story before you start re-reading and editing. And, then, don't expect your first draft to be brilliant. Just rewrite and rewrite and rewrite and then your story will purr. Good luck! Let me know how you're getting on! Thanks for dropping me a note re: my visit to Chisholm and your Wattpad story. I just had a look at wattpad.com. Looks so good. The future of publishing, perhaps? Good luck with the story (co-writing's fun) and let me know what you think of 'My Life and Other Stuff I Made Up'. Thanks for dropping me a line re: Redeemer, Robert. I'll be back there running workshops again today! And cheers for the good vibes on 'Galactic Adventures' Hilly. Hope you enjoyed the space travel facts at the back. I'm fascinated by the possibilities. You came to Redeemer today! I'm inspired. I'm writing a story about a boggart named Froggart now 🙂 I might send you a copy when it's done! Thanks for the inspiration! P.S If you don't remember me, I'm the one who gave you the idea for "Band-Aid Bix". Hey Tristan! I'm Miranda from 5AM, the last class you saw from Junior School!! You saw me on 2nd Sept, which is today! I was the one who laughed crazy & I was sitting next a Taiwanese girl too, so probably you should know me. Hey Crystal. "A Boggart Named Froggart' sounds kooky and interesting. Hope it's coming along. And 'Band-Aid Bix' was gold. It has to go into my sibling rivalry story sometime. Miranda – Hope you're still laughing. Hi Tristan, my name is Candice Caldera. I am a gymnast and I barely get a chance to do this awsome writing but I hopefully will get a chance to continue after my gym exams. Great ideas and thanks for coming to my school. Hi Candice. Hope your gym exams went super-well and that you are now in the middle of creating a story that you love. Tristan. you came to my school a while ago – silkwood primary, and i tried the 5 min flat out writing, and all i could come up with was about wolves! i found it a bit odd so i tried again. that time i mainly wrote about india. in a way i liked how i only wrote about 1 thing but found i very funny when i finished, as i read it. hi u are really inspire me(even though i learnt about u today) thanks for the insieration thanks!!!!!!!!!!!!!!! Thanks Roy and Victoria. That's so great that you're feeling inspired when you leave this page. That is the plan. Go create something! Hope you get a chance to play with Story Scrapbook, too. Let me know what you think. Tristan. I went to your writting thing today at garden city, i just want to say your websie is Exelant, i installed your app and to say thx!! hey tristan im maia you came to camp koinia i dont know how you spell it anyways i love your website keep it up!!!!! Hey Maia. Go you. I had a ball on the writing camp. Such talented, funny, smart kids. And swinging in the chapel was fun, too. Hope you enjoyed it. T.
thatnkyou for coming to drummond public. im going to get my life and other stuff I made up it seems like a good book. Thanks Anonymous. Hope you like 'My Life'. Love to hear what you think. You came to John Paul College yesterday and let me tell you it was great! You write amazing books now i want to read one, the story scrap book is awsome our class used it today and it was geat. It was cool how you took our ideas and might use them for you next book! Ps: I really enjoyed you taking our ideas and maybe putting them in your next book. My name is Sophie and today you came to my school, Our Lady of Mt Carmel Primary School, and i was the girl with the curly red hair in the front row with the sling on. I have always wanted to be an actress and writer, i write a lot of stories at home and i adore drama and do it on Wednesdays in my own time and Thursdays for school. I enjoyed your visit and i have read some of your books. Hi, again! I just wanted to tell you that I am in the middle of writing a story about an escaped tightrope walker from a circus called the 'Afro Dot Circus'. I got this inspiration from 'Madagascar: Europe's Most Wanted' and it starts like this. I am only running away from the 'Afro Dot Circus' because I have to. It is just so terrible and I need to go with Jeremy, Maxine and Mirabelle because they need me. They really do! "Tammie! Quick! They're probably looking for us now, the officers!" Maxine yelled, running for her life in her baggy overalls, spotty shoes and shirt, pink and purple afro. Did I mention my name was Tammie Fregamabili? And that I'm an escaped tightrope walker from the 'Afro Dot Circus'? Well, now I am mentioning it. That's all I've written so far! It's called The Perfect Escape Artist. Hope you like it! Please give me feedback. Lakes State School and I am in the class of 6M. If by the freak chance you do come to my class (which, by the way, WOULD BE FREAKING AMAZAWESOME) tell 'em Mikayla sent cha! Thanks for being a great author, I haven't read any of your books but I really want to BYE TRISTAN!!! Glad you liked the presentation and Story Scrapbook. There is a new version of the app available for download today with great new features – changing background colours for sticky notes and a lead pencil, faster markers etc. Hope you get a chance to download! Thanks for sharing the beginning of your story. How is it going? Have you continued with it? Hope so. The key is to write your first draft without stopping. Don't re-read and look back. Just keep moving forward. You can re-read and re-write later. Let me know how it goes! I love the name Mirabelle. Thanks for your message. Love the word 'Amazawesome'. Hope you get a chance to check out the books. And will def tell 'em Mikayla sent me. You visited my school earlier this year, Our lAdy of Mount Carmel. You inspired me to become a writer. I now love writing and i love writing short stories. We have a class assignment, we have to write a 3 page Historical Narrative,when i heard about the assingment i thought 'Oh great, this is going to be really hard' but then i thought back to what you said when you visited us, you said something like " Don't give up when you think everything is bad, keep going", and all my friends say my Historical Narrative is really good! When i grow up, i want to be a writer, my parents say i am really good at writing stories. That's cool. Thanks for taking the time to write to me. I am watching / reading lots of 'Horrible Histories' at the moment which, I think, is an ingenious take on historical narrative. Often Historical fiction feels preachy or awkward to me but 'HH' is a seamless immersion of entertainment and education. I'm glad that you're getting good feedback on your story. Keep writing! It is a good way of life. Just the process, even without an outcome, is worth the time and effort. Hi Tristan my name is Angie. You came to my school today (6/6/13, St Luke's Grammar school) and I REALLY enjoyed your talk! I'm going to a workshop with you tomorrow at school and I can't wait. I learnt a lot of good writing tips from you today and I hope I learn more tomorrow. I just wanted to say thank you so much. You have really inspired me to write more and to get my stories out there (like you said I should do when you came in today). Thank you so much. I can't wait for the workshop tomorrow! Thanks for saying you liked the talk. Hope you got something out of the workshop, too. Keep writing! Thanks for writing to me. Read a lot and write a lot. That is my tip if you're feeling inspired and wanting to create something. 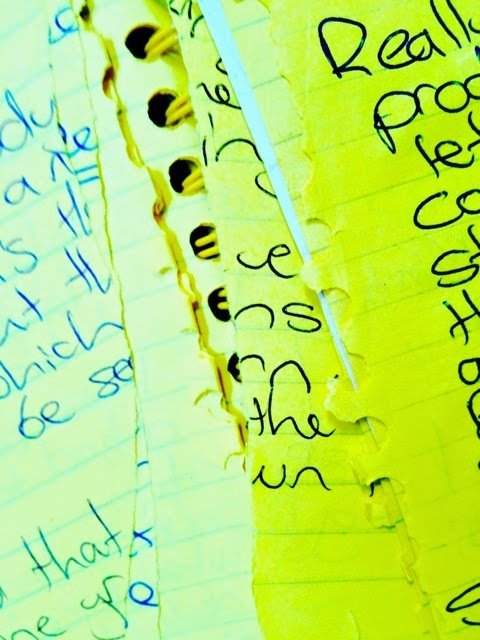 Ideas are more important than perfect grammar, especially when you're a young writer. So get those ideas down, don't be too critical and work on spelling and grammar separately. Read a lot, write a lot. Good luck. Let me know how it's going. I do remember coming to St William's. It was a great day. Hope you got something out of it. Cheers for a good one, mate. Just wondering, how long does it usually take you to write a book? Thanks for visiting Jubilee primary school it was a great experience. How did you achieve your dreams of becoming a author? Hey! Thanks for visiting Jubilee PS! You are awesome. I have a phobia that I would like to tell you.. my sister is totally scared of coke! If i go anywhere near her with it she either hurts me, runs away, or vomites. Gross huh. What is the software that you use for writing your books? I use Scrivener app to write. And Story Scrapbook. Thanks Molly and Liella from JPS for saying nice things about my visit. Sorry I haven't been back to you earlier! Hi Tristen Banks I meet you on Friday at our school High School you are really funny and no doubt about that you read us the first part of your book My Life #1 it left me wanting more I can not wait to get the book, where do you get the inspiration from? My name is Ethan Robins, and you recently visited a school by the name of Lindisfarne Anglican Grammar in Terranora! I'd like to say that I was ecstatic to hear of an author taking the time out of their schedule to visit our school! I've found a hobby in fantasy/comedy writing since third grade and it's my favourite pastime. I'm not exactly excellent, but I don't consider it a hindrance and aspire to write books as an occupation. You gave me some good pointers, and I'm very grateful. On the 17 and 18 you're coming to our school (BSDE) for the Master Class writing camp. Hope to see you there. I'm from Camp Hill State School, and I'll be going to your Writer's Masterclass tomorrow. I really love writing, and I think it will be great to meet an actual author and learn writing tricks and the like. I'm looking forward to seeing you tomorrow, Tristan! hi tristan its claire you saw me at erskinville public school remember! Hey Claire. Hope you enjoyed the visit. Was lots of fun. T.
Does it matter if there are spelling, grammar and punctuation errors in our stories? Unfortunately I am extremely bad at grammar and punctuation and mess up my words a lot. Will we be marked down on this when the stories are being read or will it not matter? Re: spelling and grammar, I think do the very best you can and have someone check over your story as well as using the spellcheck on the computer (although that can sometimes give you American spellings). Go through the story with a parent or teacher and ask if they'll help you make it as tight as possible because it definitely makes it harder to fall into the story if there are lots of spelling mistakes. Hope that helps and good luck! Can't wait to read your story. Hey Tristan, I am wanting to enter your competition and win $1000, does the short story have to be about your life or can it be made up? 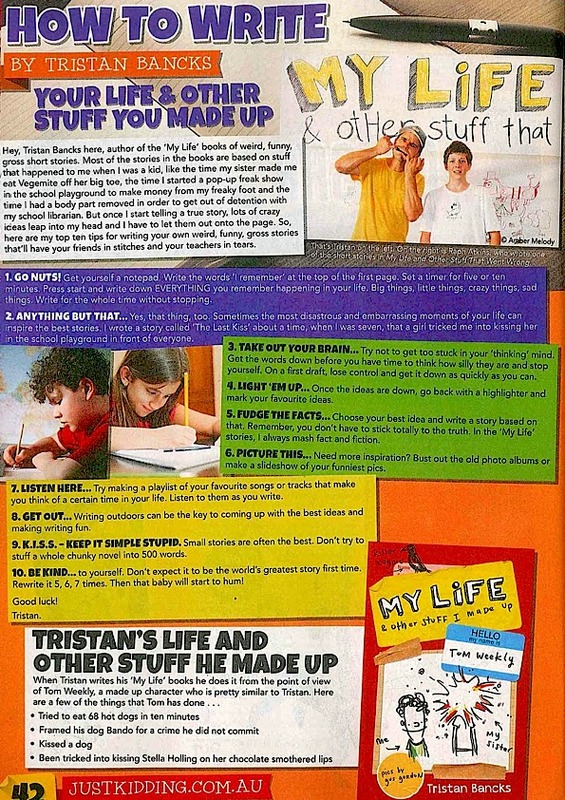 Hey Tristan! My name is Wil, I was wondering, for your create a short story and win $1000 thing, could we do something made up or does it have to be real? Can it be based on your life but a twist. It’s best if it has some connection with something that has happened to you. I say this because I think the best short stories, and the stories that resonate with the My Life series, have one foot in reality, in truth. So it can be an ‘out-there’ story with lots of made-up elements, but the story that’s most likely to win will be an authentic story, one that reads like it’s true, even if it’s not. The best way to do that is to pour as much of your own experience into it as you can so you can tell the story honestly, even if it’s fantasy. Does that make sense? Hope so! Your next book should be called My Life and other Creepy Catastrophes. From Charlotte. My name is Izzy. I LOVE your book two wolves so much that I have read it already 3 times. My homework last week was to write about a book that lit up my world and i did two wolves! It's the best! 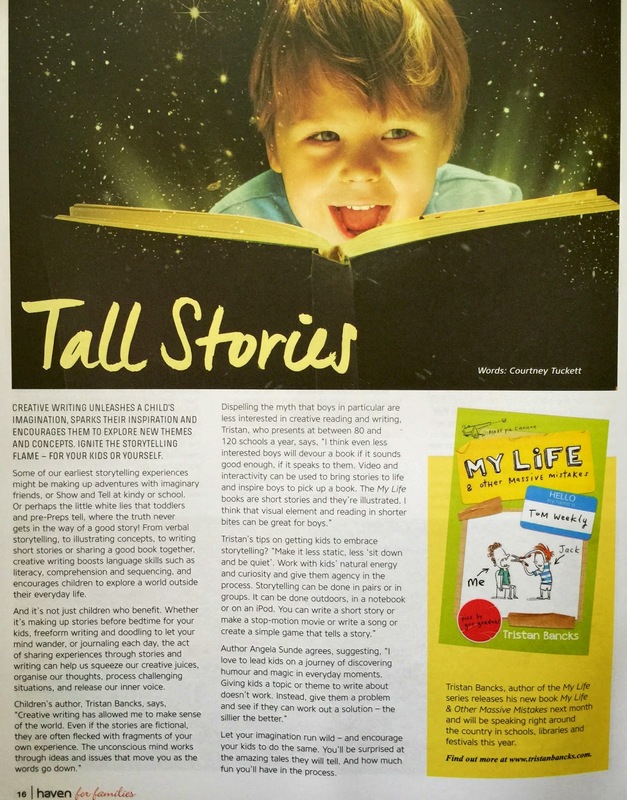 I also love the silliness and humour in the my life books. I am thinking of entering the competition running for the my life books and i have already written a draft. The only thing is, I don't know how to make it special and make it stand out. How did you make your book sooooooo funny and crazy and gross? Where do you find inspiration? Hey 'Luna I Love Wolves'! That's so good to hear about your English and that you like the book. I'm just delivering my next crime / mystery novel THE FALL to my publisher on Thursday. Out in May. Hope you're well and happy. So sorry I didn't get back to you on this comment when you left it! So glad you like TWO WOLVES. There are lots of tips for writing crazy stories inspired by your life on my Create page. Top tip is to write every day even if it's only for five minutes! I had a great time at the school. Keep on creating!